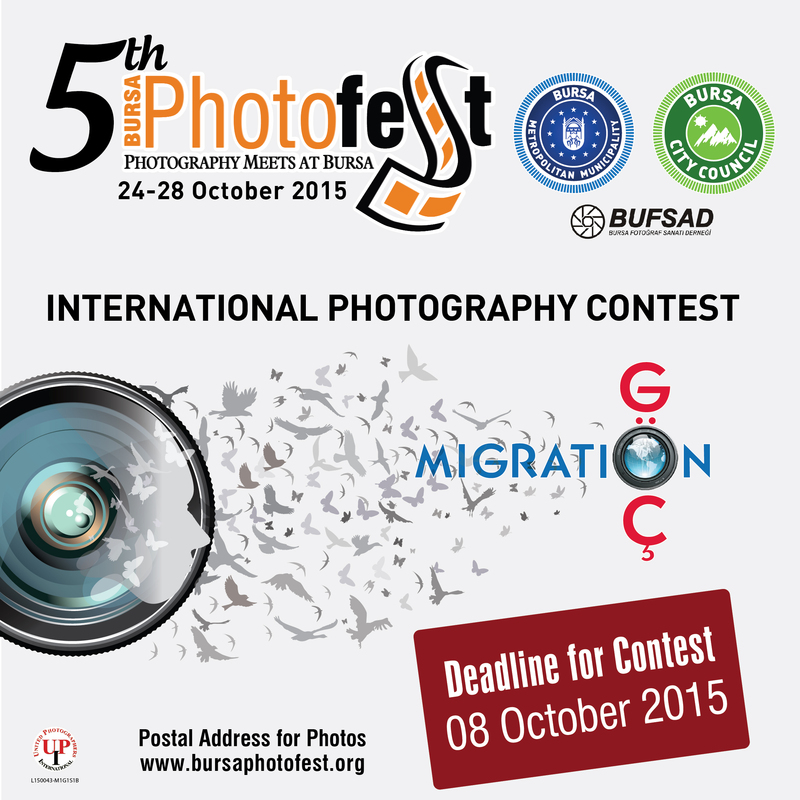 -APPLICATIONS ARE NOW BEING ACCEPTED FOR THE FIFTH INTERNATIONAL BURSA PHOTO FESTIVAL WHICH WILL BE ORGANIZED UNDER THE THEME OF “MIGRATION”. 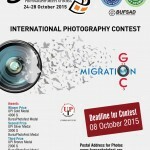 BURSA – Applications are now accepted for the contest in the scope of the 5th International Bursa Photography Festival. 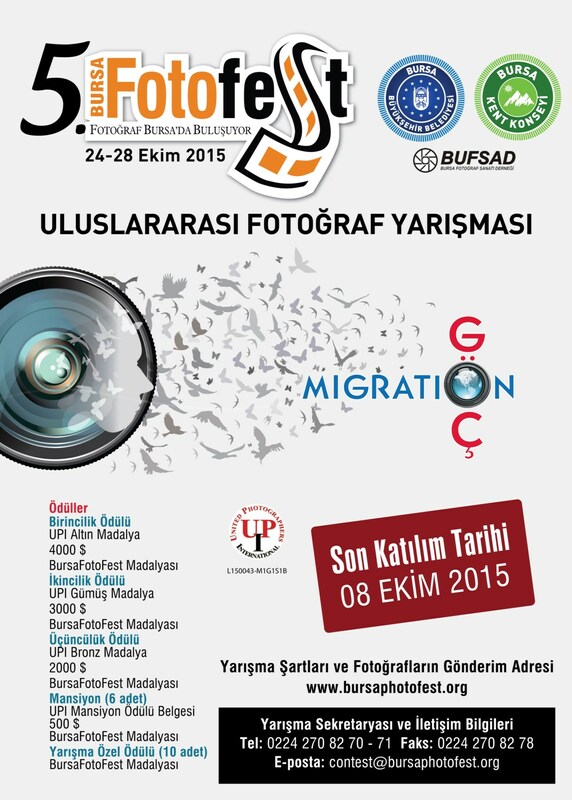 Bursa International Photo Festival (BursaFotoFest) which will be organized for the fifth time this year and the curator of the festival will be Kamil Fırat; in the scope of the festival and in cooperation with Bursa Metropolitan Municipality, Bursa City Council (BKK) and BUFSAD there will be a photography contest based on the theme of “Migration”. 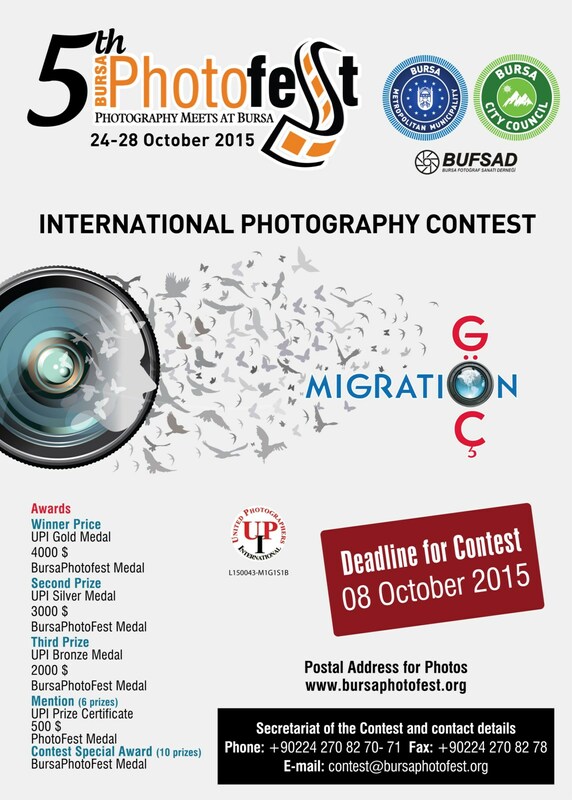 Photography fans can apply to the contest via 2015.bursaphotofest.org before the deadline which is October 8. Applicants can apply with four photos at most to the contest. The jury of the contest will be İzzet Keribar, Hasan Şenyüksel, Ercan Aslan, Associate Professor Ozan Bilgiseren, Neslişah H. Erbey Kuşku, Sibel Emniyet and Meral Kuru. BursaFotoFest is organized based on international rules and its patronage number is given by “United Photographers International” (UPI). 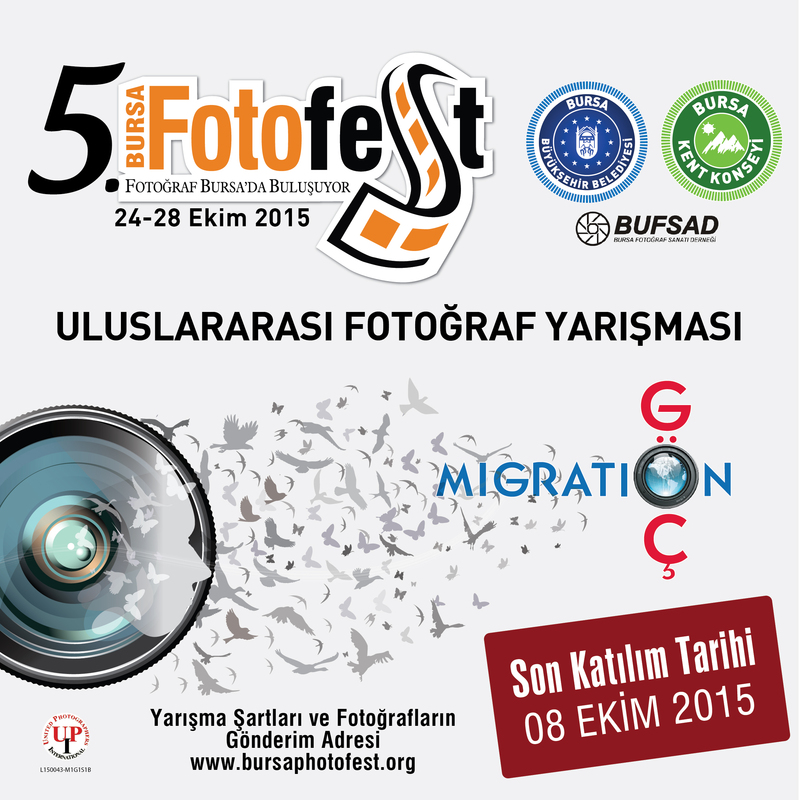 “We, together with our volunteers, are moving rapidly towards our goal to make Bursa the “Capital of Photography” with International Bursa Fotofest, which is organized for the fifth time this year. We are inviting all citizens and organizations of Bursa to strongly support the activities of International BursaFotoFest” said Semih Pala, chairman of BKK.